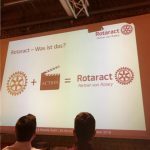 Last week’s „Rotary meets Rotaract“ event was a great success. A lot of members of the Rotarian family attented the event and could get to know each other and establish new contacts. The evening started with some drinks and small talk in the great location „Residenzcafe“. Afterwards the event’s organizers hold a speech and introduced „Rotaract“. 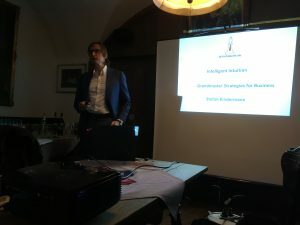 At our last meeting our speaker Mr. Kindermann from “Königsplan” talked about (critical) decisions, how we make decisions (intuition vs. rational thinking) and their possible impact on our lives. In the last few minutes of the discussion we talked about artificial intelligence. We ended the evening with drinks at a bar close to Künstlerhaus where we enjoyed the nice atmosphere and discussion of the lecture!